Are severe thunderstorms in February that rare? 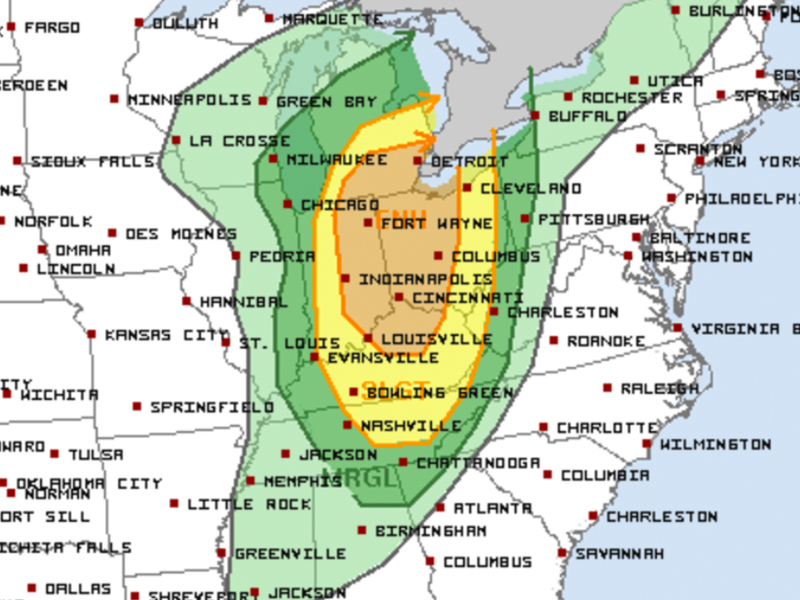 With less than a week before March, severe thunderstorms are expected across the Midwest. These storms are likely to produce strong, damaging winds, and there's even a possibility for a few tornadoes and some large hail. Severe thunderstorms certainly aren't out of the question in February. They're just more likely across the southeastern United States. Outbreaks such as the one expected today don't typically target the Midwest, and they especially don't reach as far north as Michigan. In the last 10 years, there have only been a handful of days when severe weather outbreaks covered the Midwest — in 2014, 2011, 2009 and 2008. Of those outbreaks, only one resulted in a single severe weather report in Michigan from damaging winds. Just because today's severe weather is taking place in February doesn't make it any less dangerous. Today's setup and temperature profile across most of the Midwest looks more like late April or early May — the peak of severe weather season for those states.